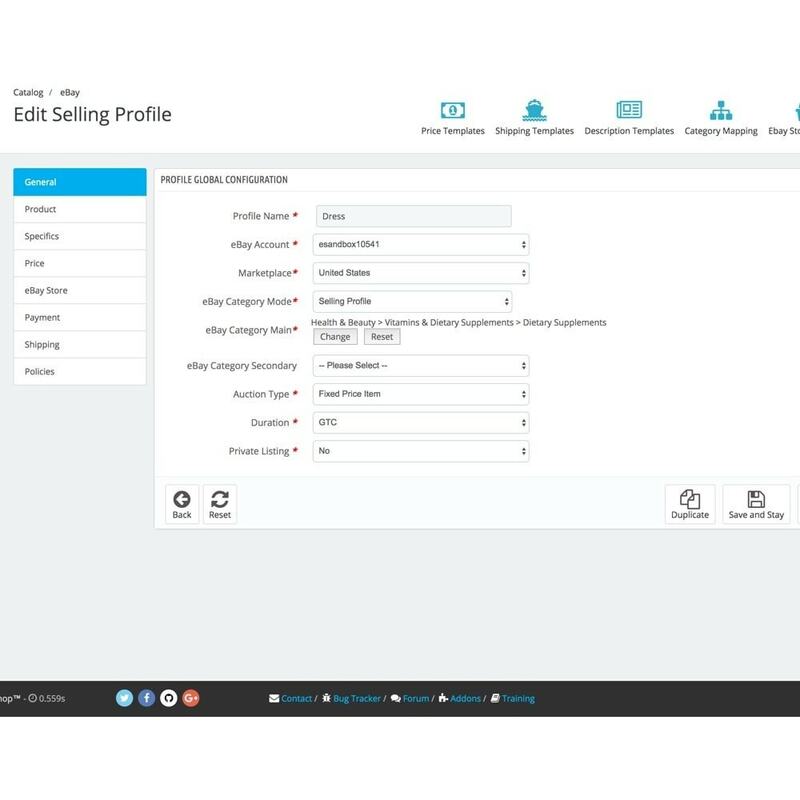 PrestaBay eBay Integration is fully integrated PrestaShop backend with eBay marketplaces around the globe. 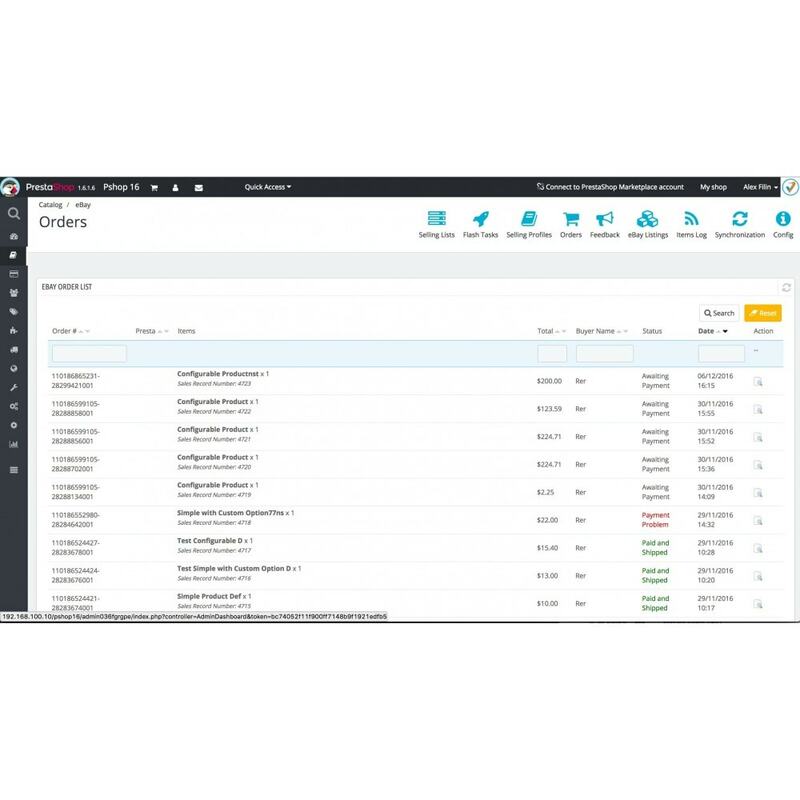 Manage all your inventories, orders and customers managed literally from one page. 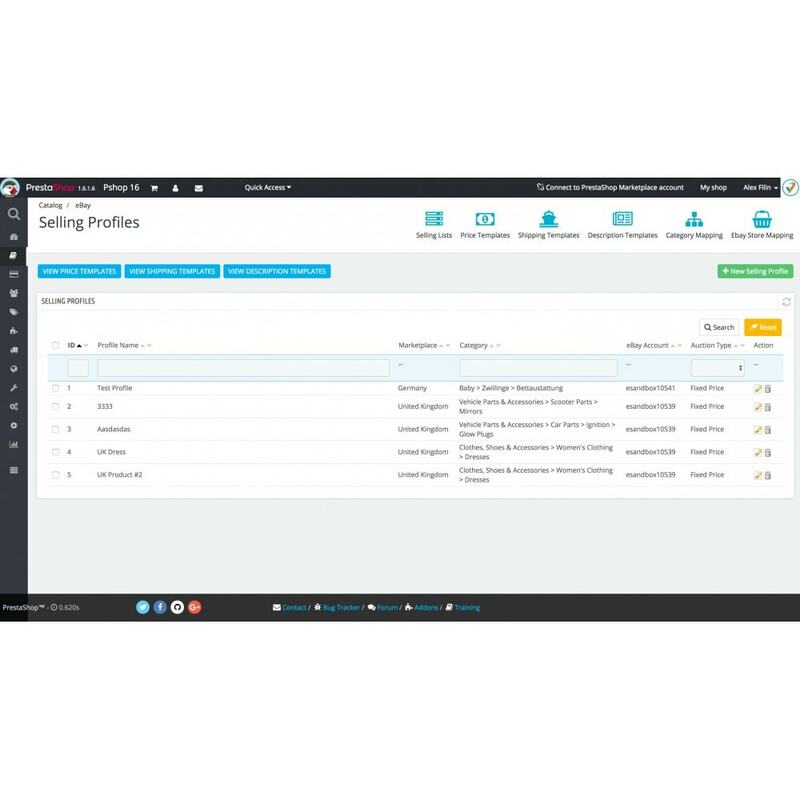 Build on experience — more than 6 years on market to provide best integration experience. Send all of your catalogs to ebay just in a few minutes. Revise all your ebay products QTY & Price. As an example, full update for 30000 items take just around 10 minutes. Easy access from Ebay Dashboard. 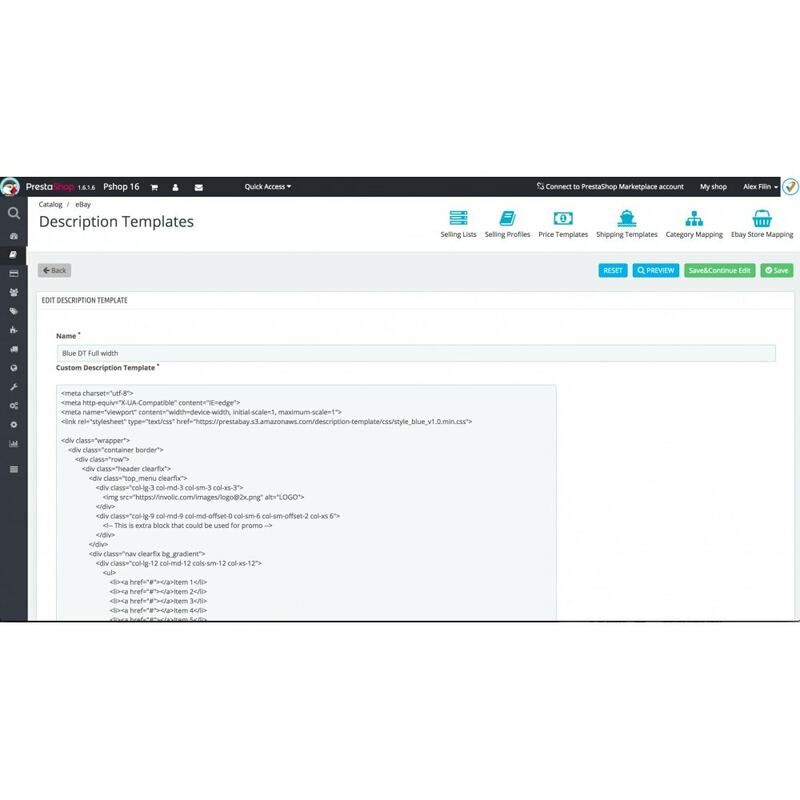 Powerful description templates with built-in gallery and fully compatible with latest ebay requirements for active content. Downloads ebay orders and import it into PrestaShop. Manage order as a normal PrestaShop order. 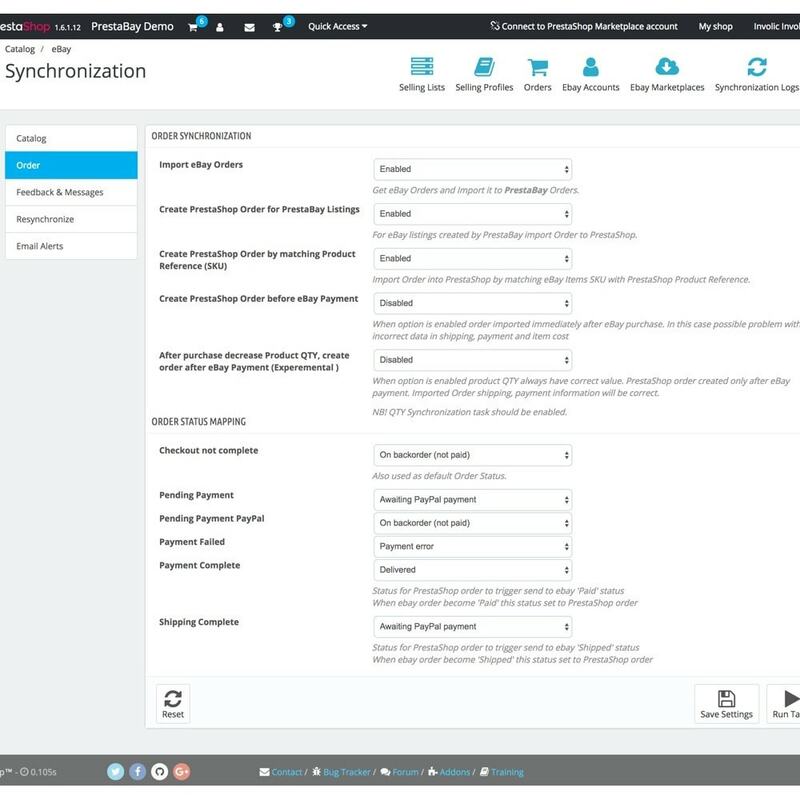 Dual Order status synchronization. Transfer shipping tracking number directly to ebay order. 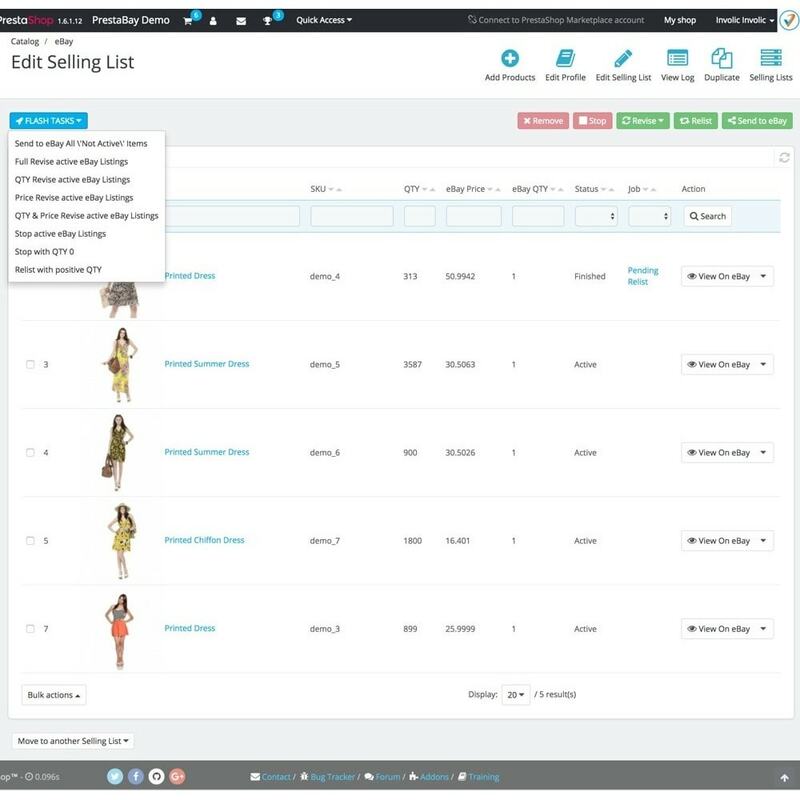 Also, include Order Status mapping, so you are fully flexible how your ebay orders should be handled. 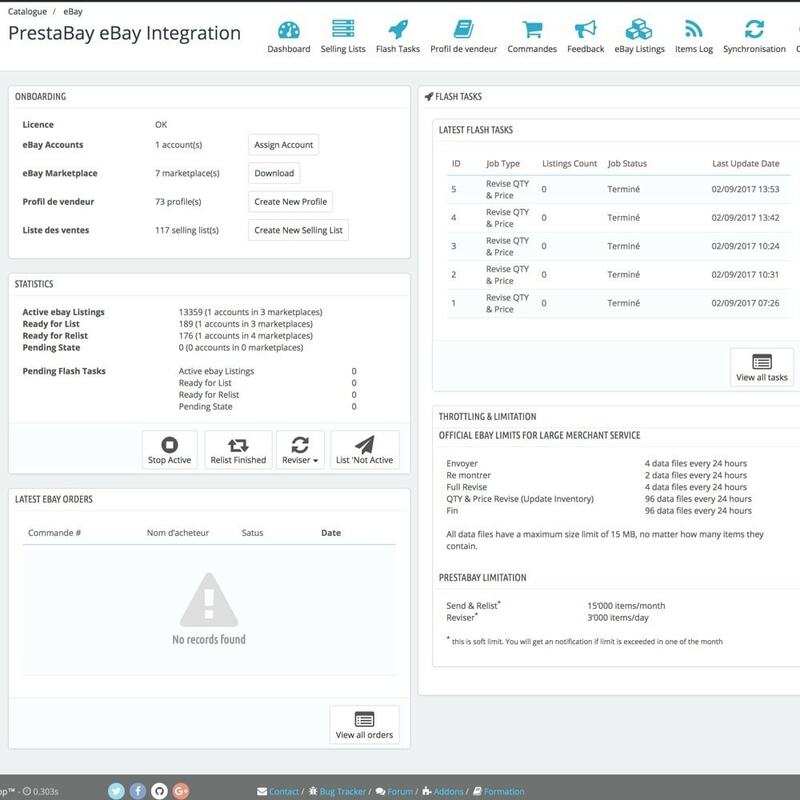 PrestaBay is an eBay certified application, the module has been tested by eBay developers and interviewed to ensure that module is optimised to all eBay application regulations. Full support of multi-language PrestaShop setup with a correctly selection of language based on ebay marketplace. Order Import. Check for an active address in the shop. Skip order import when country not active. Access Module configuration page into "Catalog->ebay"